Chevy Chase finds life in the country isn't what it's cracked up to be! Chevy Chase has a farm, E-I-E-I-Uh-Oh. He plays a Manhattan sportswriter who ditches his career for the rural life and finds that getting away from it all can mean getting in deeper. George Roy Hill (Slap Shot) directs the laugh harvest of Funny Farm. Back in 1988, Chevy Chase needed a hit. He didn’t get one with Funny Farm, a flick that got mediocre to bad reviews and that found little audience at the box office. I’m going on 22-year-old memories here, but I maintain an impression that I kind of liked the comedy. That was enough to encourage me to give it a look on Blu-ray. New York sportswriter Andy Farmer (Chase) decides to leave the rat race and live his dream. Along with wife Elizabeth (Madolyn Smith), he buys a rural spread in tiny Redbud, Vermont, where he plans to appreciate the quiet and write a novel. He and Elizabeth also plan to start a family. From the very start, Andy’s plans go awry. After they get lost, the movers arrive a day late, and Elizabeth discovers a dead body in her garden. Further strangeness shows up along the way, and Andy can't get his novel off the ground. Andy and Elizabeth cope with the reality of their “paradise” and see if they can cope. I suspect a better title for Funny Farm would be National Lampoon’s Farm Vacation. This flick certainly feels like kin to the Vacation franchise, as Andy is little more than a slightly less cartoony version of Clark Griswold – and that’s how Chase plays him. Like Clark, Andy is a man with a big dream who gets beaten down by reality. Granted, Andy lacks Clark’s obsessive resolve to accomplish his goals no matter what, but the similarities remain. Farm doesn’t demonstrate the broad comedic bent of the Vacation flicks, probably due to the presence of director George Roy Hill behind the camera. Back in 1988, Hill seemed like an odd choice for this sort of flick. Best known for Butch Cassidy and the Sundance Kid and The Sting, he seemed like an odd choice for a comedy such as this. Sure, those flicks – and other Hill vehicles like Slap Shot - came with a mix of laughs, but Farm looked like a full-on comedy of the sort usually approached by directors like John Landis or Harold Ramis. As it happens, though Andy Farmer may remind me a lot of Clark Griswold, Farm goes for a more subdued experience than the Vacation movies, and it eventually follows a dramatic bent that makes Hill’s selection as director seem more logical. However, I’m still not sure he’s the right choice. In terms of tone, Farm does tend toward the understated side of the street. Even when we meet seemingly nutty townsfolk, Hill tends to keep things reasonably subdued. 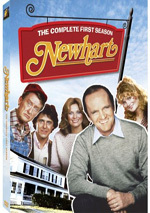 It reminds me more of the low-key wackiness of Newhart than it does the broad shenanigans of Vacation. Which is good and bad. On one hand, I do appreciate Hill’s gentle touch, as he doesn’t beat us over the head with wild antics and jokes. Even scenes that could play big - like one in which Andy encounters a snake – go for laid-back laughs. Too many comedies play things up to the nth degree, so it’s nice to see some signs of subtlety. But on the other hand, I think Hill may go for a tone that’s too low-key, and this eventually impacts the story. 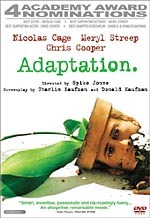 By the third act, the movie relies on the notion that the townsfolk are strange and difficult. That’s all well and good, but the film rarely demonstrates those notions. Indeed, we barely get to know the locals. For the most part, they remain in the background, while we see Andy and Elizabeth on the farm. Sure, they make occasional, slightly nutty forays into town, but this isn’t like Newhart where the eccentric residents of the small New England town create constant foils for the “normal” main characters. The inhabitants of Redbud are crazy/funny in theory, but we don’t see this demonstrated much. And that becomes a significant problem with the tale. Chase and Smith interact well, and he can play this kind of role in a satisfying way. Chase tends to do best with slow-burn characters such as Andy; again, the part’s essentially a variation on Clark Griswold, but Chase still manages to give him enough flavor of his own. I just wish he had more support in terms of other characters off which he could play. Funny Farm has its moments, and it manages to maintain our attention for a while. However, when it goes more dramatic in the third act, it starts to slow and falter. As a comedy, it has some merit, but it’s just not a consistent effort. Funny Farm appears in an aspect ratio of approximately 1.85:1 on this Blu-Ray Disc. While not outstanding, the transfer appeared pretty good. For the most part, sharpness satisfied. Occasional shots came across as a bit soft and tentative, but those never dominated. The majority of the flick appeared accurate and distinctive. I noticed no signs of jagged edges or moiré effects, and edge enhancement failed to occur. Source flaws remained modest. A few small specks cropped up along the way, but they were infrequent. Colors looked nice. The movie used a natural palette that fit its rural setting, and the image consistently demonstrated lively, engaging tones. Blacks were dark and deep, while shadows seemed decent to good; some low-light shots could be a bit flat, but they were usually positive. Though this wasn’t a great presentation, it was good enough for a “B”. I also felt relatively pleased with the DTS-HD MA 2.0 soundtrack of Funny Farm. Given the comedy’s low-key setting, the soundfield didn’t have much to do. Music provided clear stereo presence, and occasional environmental effects opened up the spectrum. These never did much to impress or engage, though. They stayed subdued and lacked much breadth. That was fine for the story, however, so I didn’t mind the lack of ambition. Audio quality seemed positive, especially for a 22-year-old flick. Speech was natural and concise, without edginess or other problems, Music appeared peppy and clear, and effects offered good accuracy. Again, they weren’t a major player here; even a thunderstorm lacked much punch. Still, those elements appeared acceptably full. All of this led to a “B-“ soundtrack. Technically, no extras come with this disc. 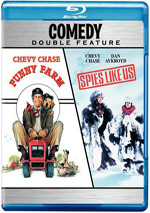 However, Funny Farm arrives as a double-feature release; 1985’s Spies Like Us also appears on the same platter. You could consider one movie or the other to be a bonus feature, I guess. This is either a totally barebones release or one that comes with an added film. Because it’s an open question, I chose not to give the Blu-ray a grade for supplements. At 21, I liked Funny Farm. At 43… well, I can’t say I dislike it, but I don’t think it stands out as particularly entertaining or memorable. It provides some moderate pleasures and boasts a few strengths, but it fades as it goes. The Blu-ray demonstrates pretty good visuals and audio; it also tosses in a second movie as a “bonus”. Chevy Chase fans can do much worse than Farm, but it never turns into one of his better films.